Alex Ferguson described his function as a leader at Manchester United as to make people believe ‘the impossible was possible’. He certainly achieved that in his career. But, it is in that first vital step that I believe he has excelled – an unerring ability to make people feel noticed and valued. I know because I have met him at different stages of his career and on each occasion I have felt welcomed and accepted by him. The belief that no-one is more important than anyone else underpins his approach and is deeply rooted in the values of his beloved Glasgow. 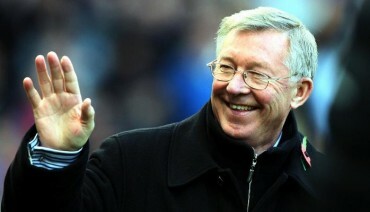 Indeed, it was an Alex Ferguson like figure who turned my life around many years ago. It started when I arrived at a building site in Earls Court Road. This was a build-from-scratch project. A Welsh foreman, sporting a soft hat, broken nose and shovel-like hands that grasped mine in a firm handshake, greeted me. Wrapping an arm around my shoulder he guided me a few steps. “Come with me, I have something I want to show before you start,” He said. He led me to a temporary hut and to drawings and a model of the proposed building. From that moment on I felt part of a bigger process and on a moral mission to create someone out of nothing through intellectual and physical endeavour. I wasn’t a bit part player. Mine, like everyone else’s on the site, was a vital function in helping to turn a dream into reality. I wanted to sweat buckets for this anonymous dreamer. This foreman made me feel 10ft tall on my first day and on each day that followed. He regularly stopped by with words of encouragement and advice. If there was something he felt I could do better, he first thanked me for my hard work so far then he show me how to do it faster and more effectively. He asked for favours rather than issuing orders and I was always keen to exceed his expectations. He had a vision, which he’d shared with me, he’d equipped me with the tools and the confidence to deliver and he always kept me involved and motivated. I was part of a team of bricklayers, plasterers, joiners, electricians, crane operators, labourers, pile drivers, glaziers from Ireland the West Indies, Scotland and all corners of England. We all knew each others’ role, supported each and were ready to step out of our prescribed role to help anyone who was falling behind. I was always early to start and late to leave. That was the power of one man’s leadership. I learned so much from him. Having seen London from the belly up, I was now experiencing a whole different perspective of the city and, as someone playing an, albeit small part, in building its new landscape, I felt I had a proper stake in it. Isn’t that the essence of great leadership? To make people believe they matter – that they have a key role in delivering on a clear vision and are trusted and supported to give of their best. I worked harder than I had ever worked because of this one man’s ability to make me walk tall. Only then did I truly realise how many people in my early life had belittled my abilities and ambitions. It was the start of a new era in my life. The trust being placed in me was like self-raising flour and my confidence grew with each passing day. I learned that, like this remarkable man, I had the same capacity to lift or belittle people around me. That was in 1971 and I vowed to do the former. On occasions I have failed spectacularly. But, the intent is never lost. Humans can be fragile in their growing – it is within our gifts to make others believe they can achieve their dreams. Let’s use that gift wisely.